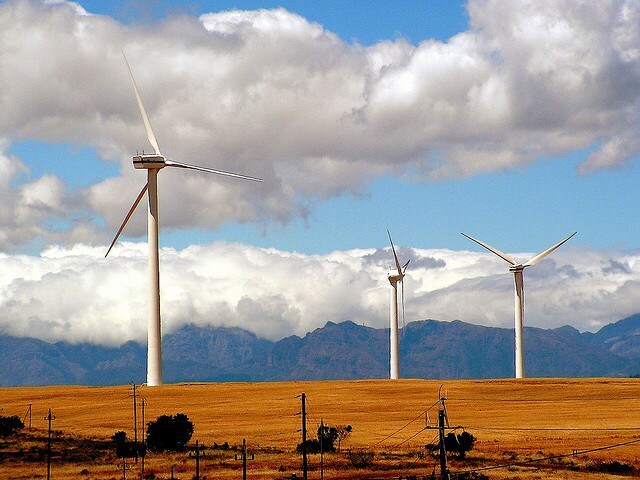 Last month, Google announced that it will invest in Africa's largest wind power farm, on the heels of the company's $12 million investment in the largest solar project on the continent. By helping to provide clean power to areas of critical need, the Internet's most popular search engine company not only helps those who need power the most, but also ensures a future supply of potential customers. The Lake Turkana Wind Power Project will be Google's second African investment. Previously, Google supplied a large investment in the Jasper Power Project, a mega-solar farm that now provides energy for several cities in South Africa. The Lake Turkana Project will supply power for up to 80,000 homes with 310 megawatts of energy for users in Kenya. Not only will the project provide clean and environmentally-responsible energy, but it will also increase access to electricity for thousands of Kenyans who are currently without power. Sustainable wind energy is a goal for many who want to expand clean power sources. Wind energy has proven to be more cost-effective and cleaner than coal energy. In fact, according to ATCO, coal emitted about 1,500 million metric tons of carbon dioxide in the United States in 2014 alone -- about 76 percent of the total emissions from electricity generation. With no air emissions, no need to mine, no water pollution and no waste, wind energy is one of the cleanest sources of energy available. The average wind turbine provides power for up to 328 homes per year -- the same homes would require tens of thousands of pounds of coal each. By investing in clean wind energy, Google is helping Kenya reach its goal of increasing its grid capacity by 5 gigawatts in the next decade. This expansion not only provides support for a growing economy, but also brings the country closer to universal energy access. The Lake Turkana Project is an important part of the country reaching its energy goals, and Google's investment is critical in making the dream of having clean, reliable power a reality. While some experts are puzzled by Google's commitment to Kenya's goal of energy independence, a quick review of the company's history makes it clear that Google has a strong interest in investing in clean power. To date, the company has invested in a total of 22 renewable energy projects worldwide, most of which are in areas of sparse coverage. There is another motive for Google besides the obvious philanthropic interest: Energy plants in areas that lack coverage have proven to be good financial investments. However, Google has yet another reason for investing in the Kenyan project: Africa and other developing areas of the world represent some of the largest opportunities for future Internet users. As Google continues to expand its influence in the area of Internet usage, it make sense for the company to expand its investments in projects that will supply the power to bring these users online. As Google works to build new clean power plants and farms, including solar and wind projects, the company ensures that abundant energy will always be available in areas in which it wants to expand Internet usage. The Lake Turkana Wind Power Project is just one of many that Google is or will be involved in funding in order to bring clean power to the undeveloped areas of the world. By investing in sustainable, renewable energy sources, Google fulfills three important goals: providing expanded power access to all people, ensuring that power is available for Internet use expansion, and benefiting the planet by fulfilling intelligent energy goals.